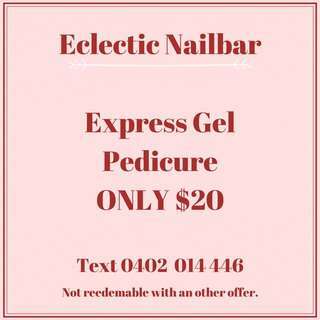 Express Gel Pedicure only $20 & add on an Express Gel Manicure for only $20! 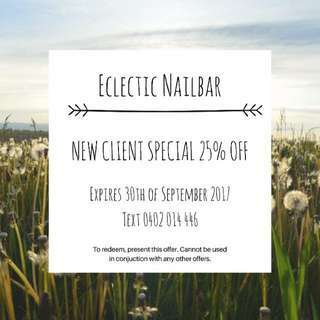 New salon start up located in Burleigh Heads, QLD. 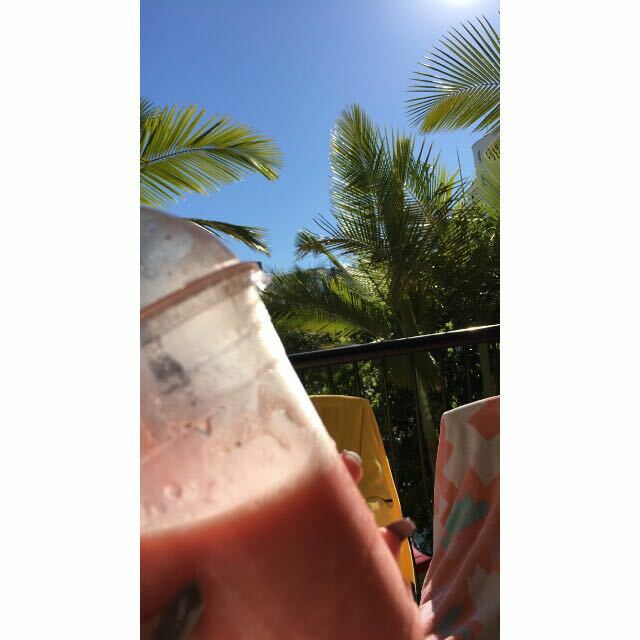 Text 0402014446 for details! 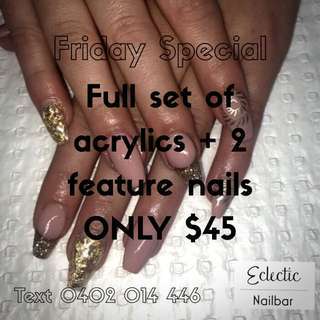 Full set of acrylic nails + 2 feature nails ONLY $50 ($45 on Fridays) Express Gel Manicure ONLY $20 Feature Nail $2 each! 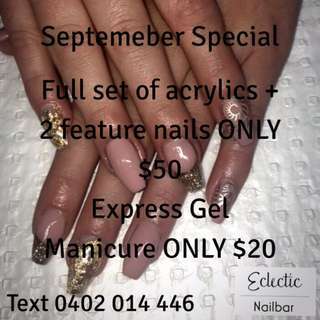 Text 0402 014 446 for more deals & details!